June 13th-August 15th; You are invited to take part in a butterfly release Tuesday’s at 2pm (there will be no release on July 4th) . An educator will be in the Butterfly House starting with information on butterfly life cycles and the types of butterflies that are in the Butterfly House that week. Butterflies will then be released . In case of rain, we will have an educator in our classroom. Guests will still be able to observe butterflies. 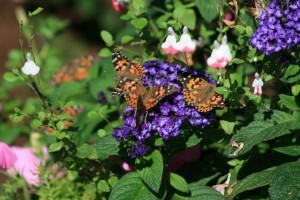 Butterfly releases are free for Airlie members and included with garden admission. No pre-registration is required.